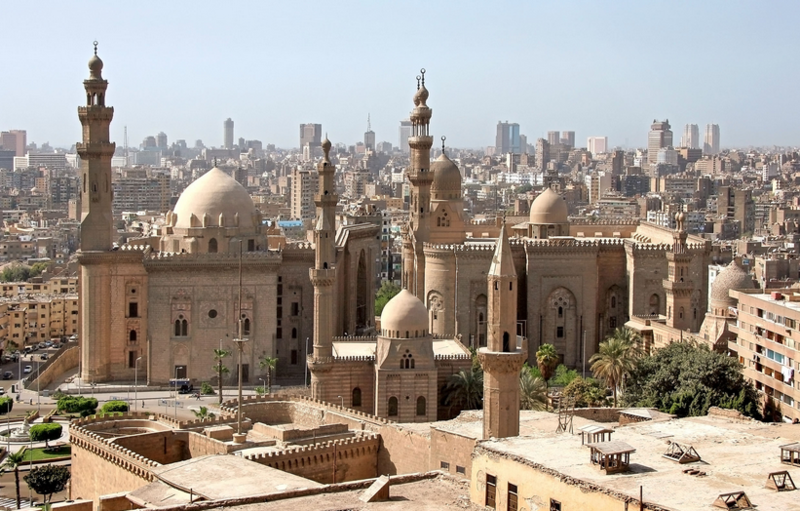 For me, going to Cairo as a non-Muslim, Ramadan can seem a curious mix of self-denial and pleasure. We are used in the West to one following the other, to have a blow-out at Christmas and then go through a period of detox in January, or perhaps the other way round where we give up chocolate for Lent and, after six weeks, gorge on Easter eggs, but Ramadan contains both. During the day devout Muslims will not eat, drink or smoke, a tough call when the temperature hits 35/40 degrees, but everyone is in it together and for many the fast is respected as a challenge, just as if the whole of the UK were to embark on a Dry January or a Stoptober. Everyone else is there to keep you going and motivated. From dusk however everything changes. People break their fast with an iftar meal and enjoy time with their families and other members of the community. Indeed so much do people enjoy the iftar it is not unknown for Muslims to gain weight during Ramadan, in spite of fasting. 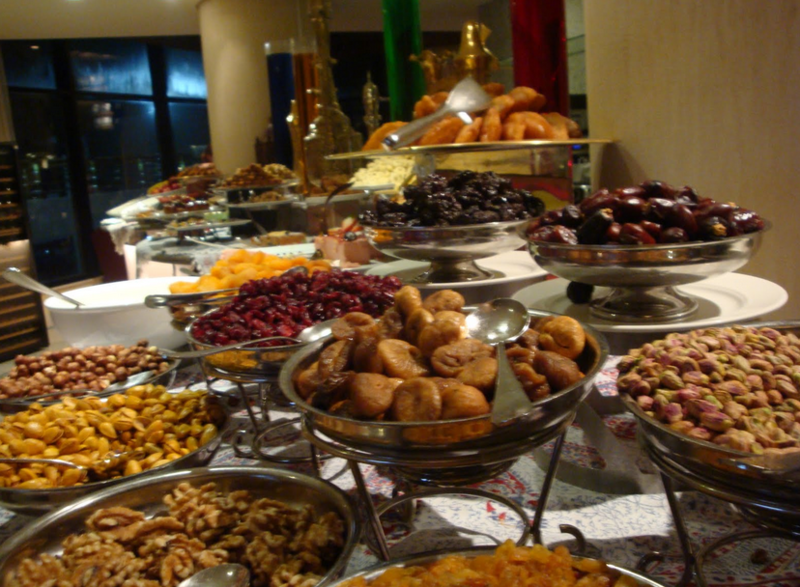 The hotel in which I stayed in Cairo was offering a number of iftars from a whole range of different companies. Because people are at home enjoying time with their families Muslim TV stations screen their top TV programmes and advertisers to run special ads (as with the Superbowl in the US or the UK Christmas advertising specials that brands like John Lewis or M&S unveil every year). 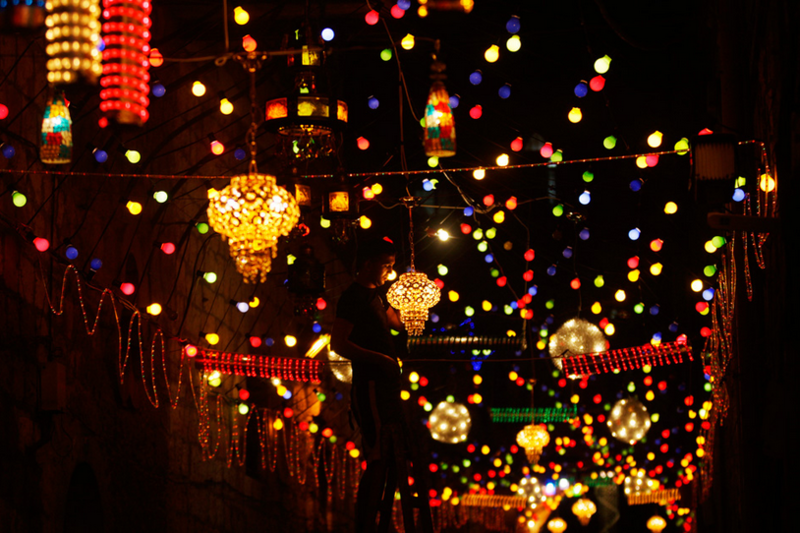 The public buildings in Cairo were decorated with lanterns, called Fanous. Even the military academy, rather incongruously, hangs up special Ramadan lanterns just as every building in the west gets out the fairy lights and a tree at Christmas time. Everyone leaves work earlier (shades of Christmas parties and celebrations in the UK?) and business and shops keep special Ramadan hours (like late night shopping in Britain). I sat in an empty office at 4pm to brief my Egyptian moderator while everyone else had left to go home. He was actually part of Egypt’s Christian minority and I think got more than his share of the Ramadan research projects. Breaking the fast meant that everyone stayed up later, indeed our groups ended up finishing well after midnight; I can’t imagine that going down well in Watford or Sale. Respondents had been able to have something to eat and a chance to have a smoke but they were still itching to leave, to get back to their families to eat and drink their fill until the fast started all over again. As with all international projects, this was a great opportunity to be exposed to the rhythm of life in a different culture, denial followed by indulgence, and to recognise how that same rhythm plays out in one’s own world.